Pianist, singer and composer, Lerner began to play during his high school years. Born in 1957, his first recording was in León Gieco´s second LP, in 1974. After playing with different bands, he first appeared as a composer in the group Soluna, in the only record the band made in 1977. His first big break would be in Sandra Mihanovich´s band, where he played the piano. In 1982 he produced his first solo record and became an instant success with classics such as “Nena neurótica” and “Por un minuto de amor”. He reached the peak of popularity just one year later, when he recorded his LP “Todo a pulmón”, and his career took off and he became one of the most well known musicians of the Argentinian music scene. Having also worked as a composer for artists such as Luis Miguel and Celine Dion, he is now considered a classic. 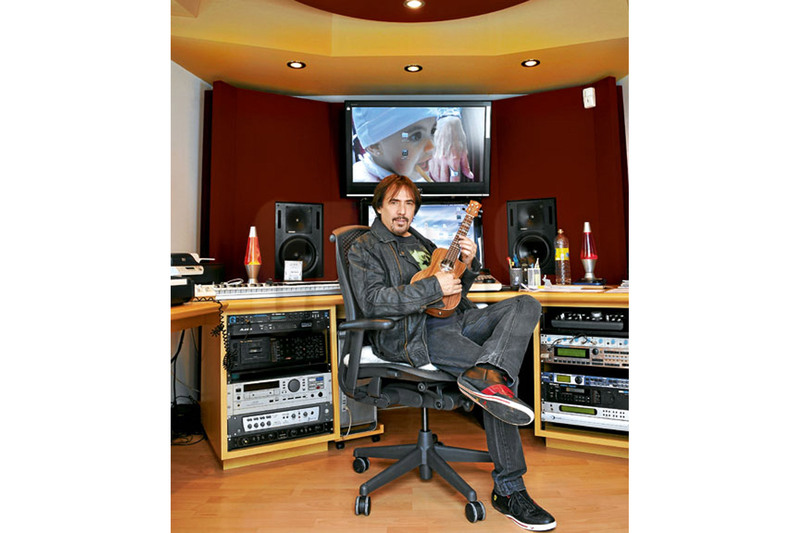 The multi award winning Argentinian musician and composer Alejandro Lerner wanted a room in his house where he could work on his music on his own time. The main goal here was to create a perfectly contained control room, where he could comfortably produce without having to leave the house. 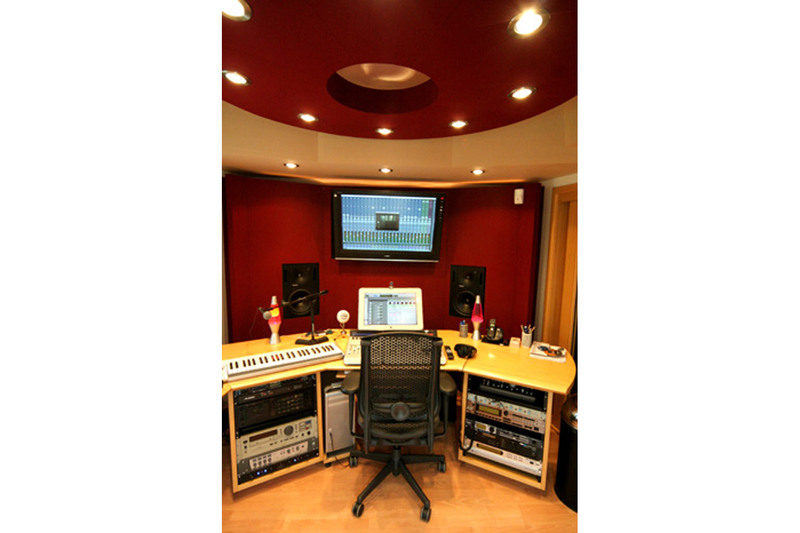 As a producer and composer for other singers such as Celine Dion, Luis Miguel, Santana, Air Supply, Mark Anthony and Carole King, the feel and look of the studio was of extreme importance, keeping in mind simplicity and sensibility as key ingredients. Lerner also composes music for Hollywood movies and TV series, so this space truly is a creative bubble. 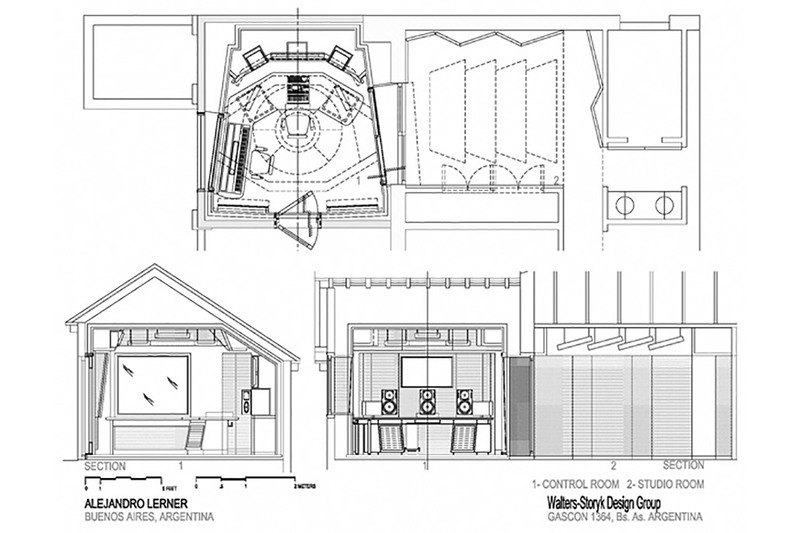 The program was for a control room and a studio, which are both an integral part of his living space. 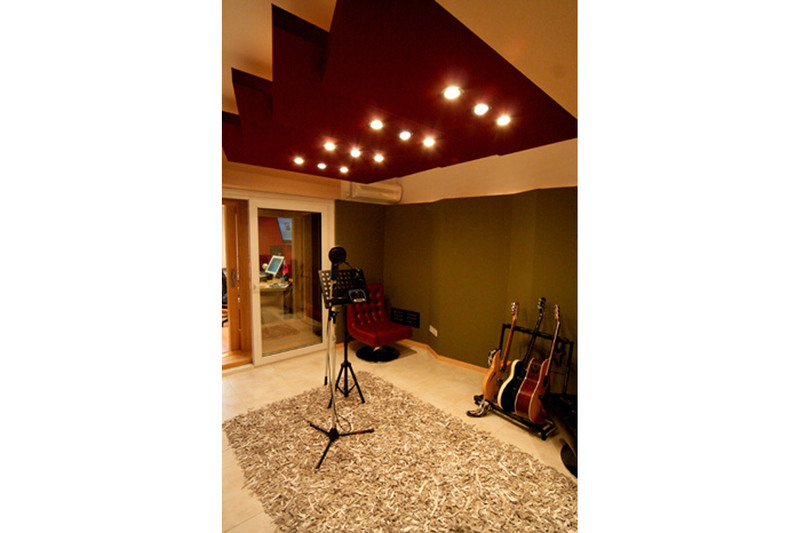 It was therefore essential to carefully plan all the acoustics in terms of sound containment and isolation. The house is set in an extremely quiet residential neighbourhood, a closed community north of Buenos Aires city. The studio allows for maximum flexibility and the control room looks into the balcony and garden, benefiting from plenty of natural light. 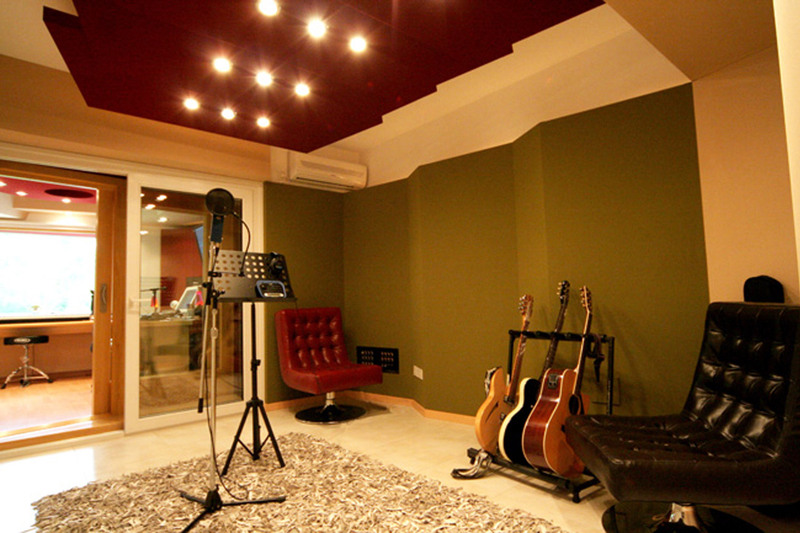 The control room is large and comfortable enough to allow him to develop all his activities as a musician and explore his creativity in the convenience of his own private space. 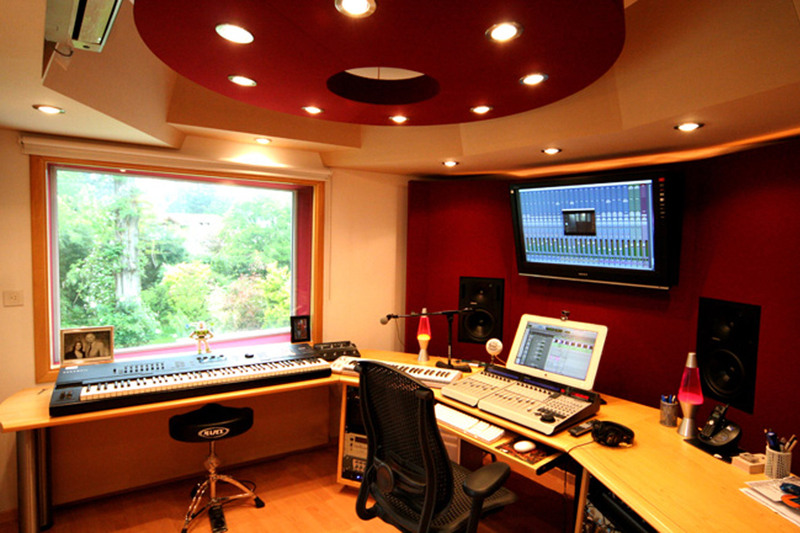 The studio includes Genelec monitors, Protools HD, Avalon pre amps and a MOTIF Controller.